Charming Low Set Morningside Home! (MN/V) This lovely low set three bedroom home is one not to miss. Positioned only a stone &x27;s throw from Shops, the Colmslie Hotel, and the Gateway Bridge, schools and parks, this location is ideal.This home features::: 3 Good sized bedrooms 2 with Air Conditioning:: Polished timber floors throughout:: Air Conditioned open plan Living and Dining:: Stainless steel Appliances in the Kitchen:: Internal laundry:: Single Garage with additional off street parking:: Great sized back yardDo not miss the opportunity to inspect this property as it will not last long. 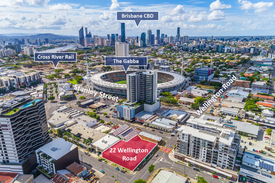 Please contact Ray White East Brisbane on (07) 3906 2500 for your inspection!PLEASE NOTE:You must read the terms of the Tenancy Agreement prior to applying for the property. A copy is available at our office, and at inspections. We recommend you call our office prior to the inspection to confirm the appointment time as the property may be rented. 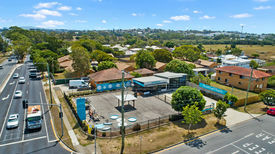 Each property is open for approx. 10 minutes only, if a property has been leased a leasing consultant will not be attending.To Book Inspection times for this property please contact our office on 3906 2500.